This topic explains how to scan a single parameter after automatically crawling a web application. The same concept can be applied to any type of scan. This feature is only available in Netsparker Standard. For further information, see Manual Crawling with Netsparker Standard in Proxy Mode. From the Home tab, click New. 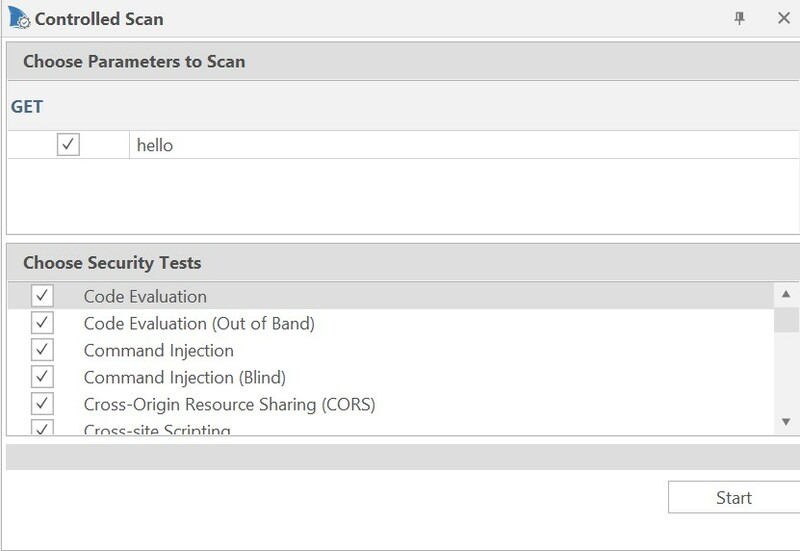 The Start a New Website or Web Service Scan dialog opens. In the Target Website or Web Service URL field, enter the target URL. From the Scan button dropdown, select Crawl and Wait. 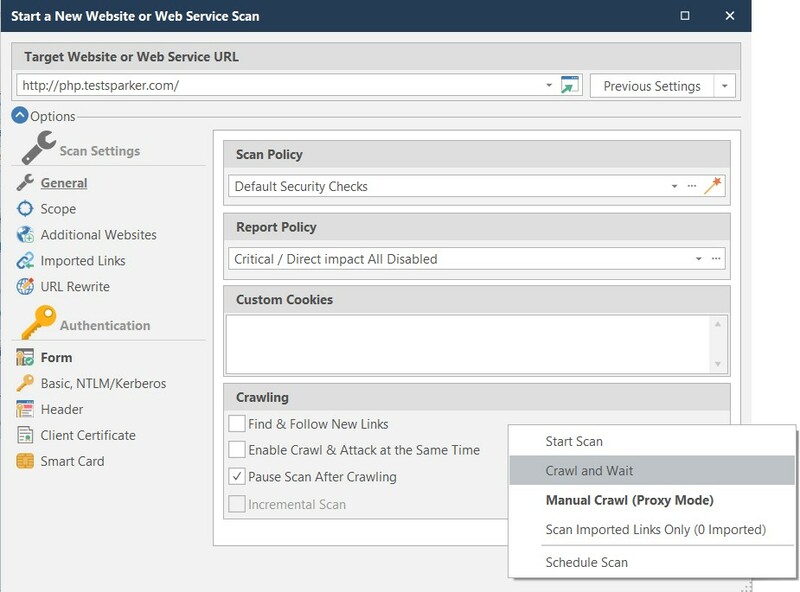 Using this method, the scanner will only crawl the website and report issues that are noticed during the crawl (for example, when credentials are sent over clear text). 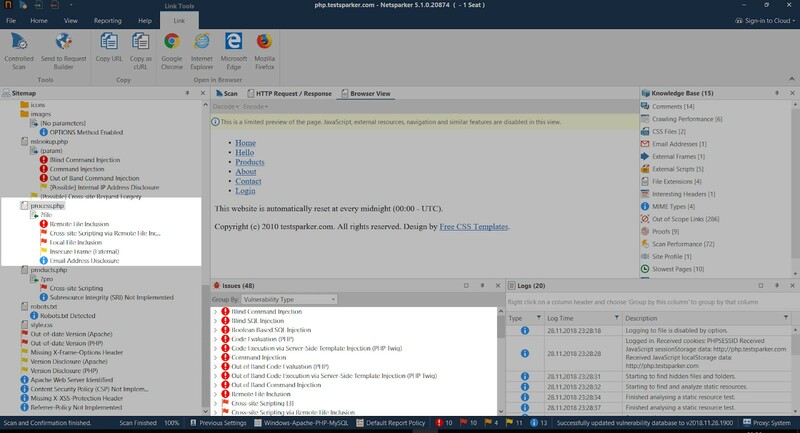 Once the web application has been crawled (or even before the crawl finishes), look in the SiteMap window, find and select the page or parameter that you would like to scan. Right click it and select Controlled Scan. The Controlled Scan panel opens in the central pane. If vulnerabilities are found during the Controlled Scan, they will be reported like any other vulnerability and added to the list of issues displayed in the Issues list. First, make sure that someone has actually fixed the vulnerability. From the File menu, click Local Scans and doubleclick to open a recent scan. The Scan opens in the Scan tab. In the Sitemap or Issues panel, locate the vulnerability. Right click it, and select Retest. If the vulnerability is fixed, it will be struck through.